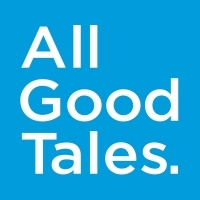 All Good Tales is a public relations agency with a difference. We work with clients to find their magic slice, and create dynamic story driven experiences that resonate with their audiences. We’re looking for a Senior PR Executive to join our diverse team. If you’re driven, motivated and creative this is the position for you. Experience of media and public relations in a dynamic environment is desirable. The closing date is Friday, January 11th at 14.00. Email your CV and a one-page cover letter as a pdf or .doc file to barbara allgoodtales.com. It should be a single document with no more than three pages. Include your name and PR Executive in the subject line. We look forward to hearing from you.